The back is a strong, flexible structure, but it can also be extremely vulnerable to damage from auto accidents. Even at low speeds, a heavy vehicle can transfer enough force to the body to produce serious injuries and back pain. If you're struggling with post-accident back pain, you'll be happy to know that Synergy Heath Partners offers safe, natural relief for Aurora, Thornton and Denver residents. Facet joint damage - A sudden jolt to the spine can push the facet joints (the small joints that connect and articulate vertebrae) out of position. This causes strain, inflammation and stiffness in the joints, inhibiting normal back movement and causing pain. Seat belt injuries - If your trunk is twisted beyond its normal capacity, you may suffer torn muscles, strained tendons, stretched vertebrae and/or vertebral misalignment. Ironically, the three-point safety belt that saves you from certain death may also leave you with serious back pain. Since one shoulder is free to move in response to an impact but the other isn't, the spinal column and its supporting tissues may experience severe twisting. Your Aurora and Thornton chiropractor on the Synergy Health Partners team can isolate the causes of your back pain and treat them through a variety of safe, effective techniques. Chiropractic care can correct joint and disc problems, while massage therapy soothes soft tissue pain and helps damaged tissues heal. Corrective exercises and physiotherapy may also be prescribed to help rehabilitate your injuries and help you regain full function. 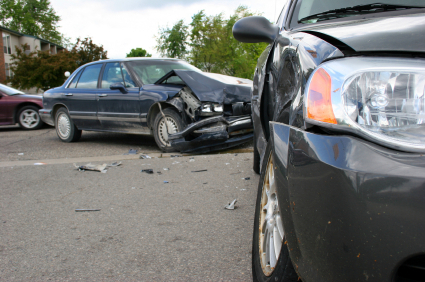 If you're taking the accident to court, we can even work with your attorneys to provide extensive diagnostics, documentation and other support for your case. It's important to note that the longer you delay treatment for your back pain, the worse that pain (and the underlying injury that causes it) is likely to get. If you'd rather fight back against the debilitating back pain caused by an auto accident, don't wait -- take the sensible first step today by seeking out the conservative care methods at Synergy Health Partners. Call 303-630-0400 to schedule an examination and treatment!